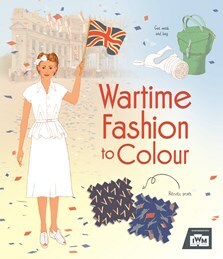 A fascinating colouring book of fashions of the Second World War, from wartime weddings and glamorous American fashions to the uniforms worn by the armed forces and air raid wardens. With snippets of historical information on every page, and internet links to selected websites to find out more. Published in association with Imperial War Museums.